I've been to this restaurant a couple of times and I must say that I thoroughly enjoy it's spacious, hipster vibes along with it's mini bicycle store and theatre room at the back. This was the first restaurant I dined at within Surry Hills, and is the reason why I have grown a fond love for much of Surry Hill's restaurants and cafes. It saddens me to see how much of it's popularity has caused the restaurant's ratings to be flourished with critics who are highly detestable and want nothing more to trash the restaurant. Everyone's entitled to an opinion so I guess it doesn't matter. Luckily, I didn't come during lunch hours as it wasn't very packed when I arrived. 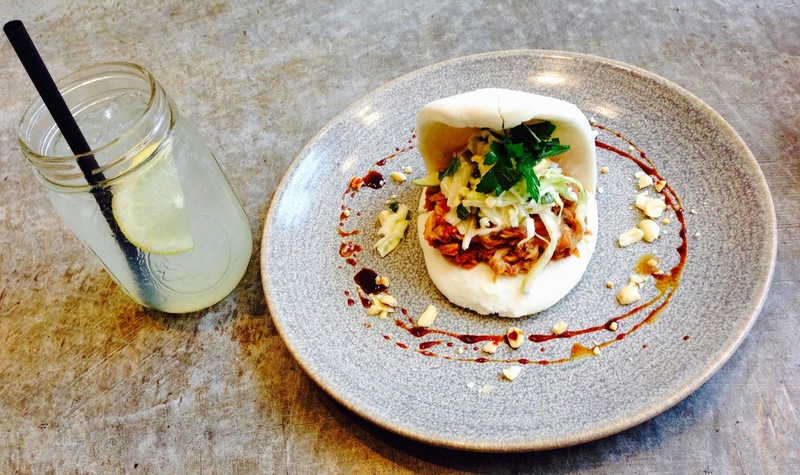 I ordered the Steamed Bun with Twice Cooked Pork Belly, Sticky Chilli Caramel, Roasted Peanuts, Apple Slaw and Sesame Dressing for $13 and a homemade lemonade for $5. I have very little to fault about this dish as it was delicious! However, the bun was quite thick and a little doughy, making the ratio of extremely flavoursome and tender pork to the plain, doughy bun a little uneven. Either add more pork or make the bun less thick. Other than that, if you combined a bit of everything, from the bun to the sauce, the flavours were all there and they were all amazing! It wasn't even the tiniest bit chilli, which isn't a problem for me because I'm pretty weak when it comes to chilli so I'm pretty happy. The overall dish was well made and arrived quite quickly after being ordered. 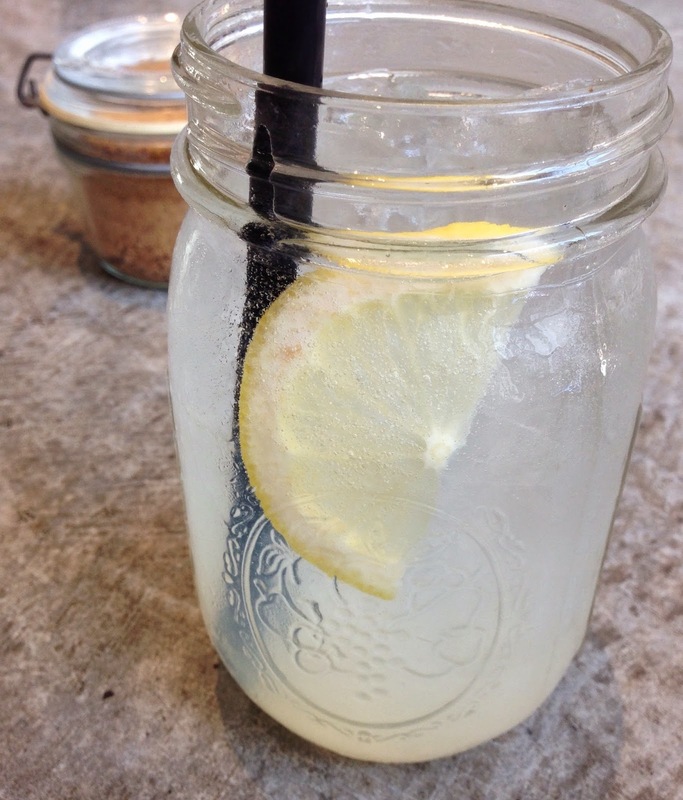 Although it was homemade, the lemonade was extremely sour and I found it very difficult to finish and I was so close to just leaving it there 3/4 full but luckily they had some sugar on the table so that made it a lot more bearable. Would not recommend. I've also tried many of their drinks when dining out with friends! Apple Pie Milk Shake, Caramel Popcorn Milk Shake, Schnickers Milk Shake, the Vanilla Malt Milk Shake and I think Lemonade or some type of soda? Anyways, out of all of them I'd recommend the Caramel Popcorn, the Vanilla Malt and the Schnickers Milk Shakes. The Apple Pie Milk Shake just tasted like pure cinnamon and cough syrup infused together, not very pleasant at all. Lemonade was lame. The rest were good. I'd definitely recommend this place and come back for the pork bun any day but I can't say the same for the lemonade cause that was a huge let down! The service was nice, a lot of smiles and they were very willing to answer any questions in regards to what dish they'd recommend and whatnot. Thanks, Jenny! I just approved your blog claim. Now your Urbanspoon profile picture is displayed on your blog page. You can upload a blog-specific photo if you prefer, and can change a few other blog settings there. Also, if you vote for a restaurant that you've reviewed on your blog, we now show your vote next to your post everywhere on our site.